Students from nearby schools are on their way to developing a “sense of place” for the Grand Calumet River after spending several hours at the Seidner Dune and Swale Nature Preserve engaged in learning and stewardship. The site in northwest Indiana is a recently restored natural area along the river and boasts of lupines, bald eagles, great egrets, crayfish and more. Sense of place is a social science concept that captures whether a person identifies with or feels an attachment to or dependence on a location, and it is predictive of future environmental stewardship at that site. Caitie Nigrelli, Illinois-Indiana Sea Grant environmental social scientist, evaluated the students and found an increase in their sense of place for the natural area after their field trip. 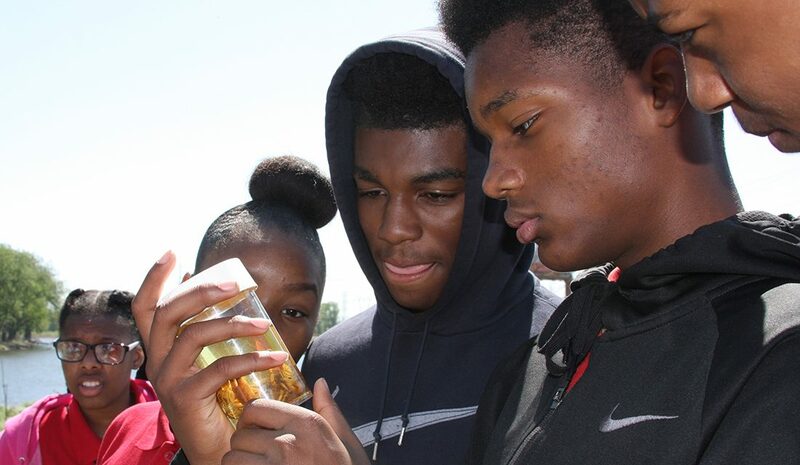 On May 18, the Grand Calumet Stewardship Day, an annual event for the past five years, brought out students from Eggers Middle School and Bishop Noll High School, both in Hammond, Indiana, and 21st Century Charter School in Gary. The students visited four stations where scientists and experts guided them through bird watching, learning fish species, identifying macroinvertebrates, and planting oak trees. At one point, the Grand Calumet River was considered the most polluted river in the nation. In recent years, with funding from the Great Lakes Legacy Act and local partners, the river is being cleaned up and restored. Altogether, two million cubic yards of sediment have been removed or capped. The work on the East Branch of the river, which is where Seidner Dune and Swale is located, is finished, with 1.1 million cubic yards of sediment remediated and 58 acres of marsh habitat restored. Even during the river’s worst days, there were pockets of natural wonder. “The Grand Calumet River is historically known as biologically diverse and it has very unique ecosystem associated with it. The globally rare dune and swale complex, which is next to the river, is globally rare. There is only about 17,000 acres left on the entire planet of this kind of habitat,” said Susan MiHalo, conservation coordinator at The Nature Conservancy, and organizer for this year’s event. “I love that they’re bringing back the native plants and the native animals and they’re trying to get rid of the pollution. When I get older, even now if I can, I’m going to try to help so I can make it better too,” said Jamarion Evans, an Eggers Middle School student. 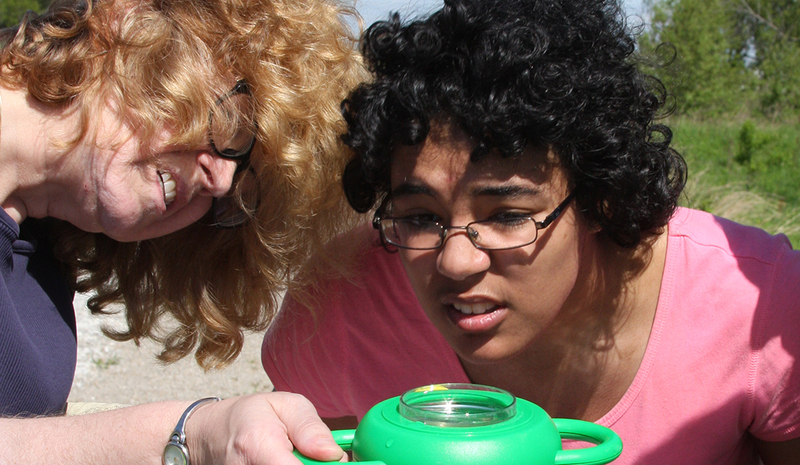 “We look forward to coordinating with the teachers to plan additional field trips that can further establish the students’ sense of place for the river,” said Nigrelli. U.S. Environmental Protection Agency, U.S. Forest Service, U.S. Fish and Wildlife Service, Audubon Chicago Region, Wildlife Habitat Council, and Urban Waters.